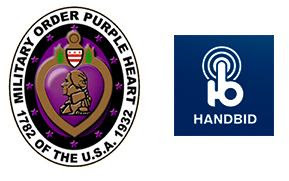 Augusta, GA, April 3, 2017 - HandBid, the premier silent auction mobile bidding and fundraising technology company for non-profits has teamed up with the Purple Heart Foundation to maximize fundraising revenue to support the men and women who have served and sacrificed for our country. 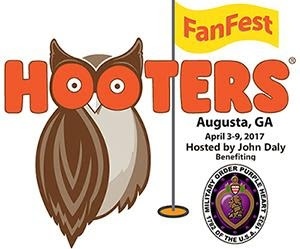 The Purple Heart Foundation is on-site exhibiting at the Hooters Augusta FanFest hosted by John Daly benefiting the Purple Heart Foundation which opened Sunday, April 2nd and runs through Sunday, April 9th. The Purple Heart Foundation Auction presented by Hooters will close Saturday night, April 8th. If sports fans and military supporters can't make it to the Hooters Augusta FanFest they can still download the HandBid mobile auction app, search Purple Heart Foundation and bid on great signed memorabilia, unique outdoor experiences, including exciting lodging and travel destinations. For more information concerning the Purple Heart Foundation visit www.purpleheartfoundation.org. For more information concerning HandBid Auctions, visit www.HandBid.com. The Purple Heart was created by George Washington back in 1782. It is awarded to members of the United States armed services who have been wounded by an instrument of war by the hands of the enemy or killed in action or die as a result of wounds received in action. Based in Annandale, VA, Military Order of the Purple Heart Service Foundation was founded to foster an environment of goodwill and camaraderie among combat wounded veterans, promote patriotism, support necessary legislative initiatives, and most importantly, provide service to all veterans and their families with a myriad of nation-wide programs by Chapters and National Service Officers. The Purple Heart Foundation is the fundraising arm of the Military Order of the Purple Heart. They provide support to veterans and their families through grants and outreach programs and donations to organizations whose programs help veterans. revolutionizing the mobile auction category.